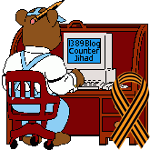 EconPop – The Economics of Dallas Buyers Club — 1389 Blog - Counterjihad! EconPop is the YouTube series that sifts through the haystack of popular culture to find the needle of economics within… and then stabs you with it! In this premiere episode of EconPop, Andrew discusses the economics of Academy Award winner Dallas Buyers Club. Subjects include public health and safety regulations, crony capitalism and the role of regulatory capture, the emergence of black and grey markets, and commercial exchange as a means for increased social tolerance.